Provincetown Calendar of Events - Provincetown Chamber of Commerce, Inc.
Provincetown for all seasons… Welcome Spring! FREE parking in our municipal parking lots… COME VISIT! SOUP KITCHEN IN PROVINCETOWN at the Provincetown United Methodist Church, 10 Shank Painter Road 12:30-1:30 Monday-Friday. December 28, 2018-January 2, 2019 First Light Provincetown, Fireworks, Food and Fun! Come! 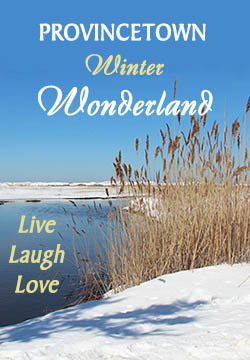 14 Valentine’s Day ~ Bring your Love to Provincetown! Provincetown for all seasons… Spring is coming! June 28-July 7 4th of July Celebrations ~ July 4th Parade starts at 11am, begins East End, Harbor Hotel and proceeds up Commercial to Franklin Street. Fireworks start at dusk over Provincetown Harbor (view from any bayside beach). Lots of fun! Come and celebrates with us! Make your accommodation reservation early! 6 25th Annual Celebration of Life Concert, produced by John Thomas, co-sponsored by UU Meeting House and Great Music on Sundays @ 5, Unitarian Universalist Meeting House, 236 Commercial Street. 29 Provincetown Rec’s 5th Annual Greet N’ Treat, 4:30-6pm (the kids parade through town from 3:30-4:30). Looking for businesses and organizations to decorate a vehicle and hand out candy to kids! The kids go trick-or-treating from vehicle to vehicle on Motta Field. 31-November 3 Halloween in Provincetown BOO! Haunted attractions, lots of parties, kids parade and much more! Call your favorite Restaurant and Accommodation. 27-December 1 Thanksgiving Weekend (Wednesday-Sunday) ~ A great time to start your holiday shopping in Provincetown’s unique shops and galleries! Also Ptown tradition ARTS & CRAFTS SHOW will be hold in Town Hall, don’t miss it! 28 Thanksgiving Day ~ Call your favorite restaurant to reserve your spot early! FREE parking in our municipal parking lots… COME SHOPPING! 22-30 Chanukah begins on sundown of Sunday, December 22, 2019 and continues through Monday, December 30, 2019. Chanukah is the Jewish eight-day, wintertime “festival of lights,” celebrated with a nightly menorah lighting, special prayers and fried foods. An exciting weekend of Celebrations! 31 New Year’s Eve – Begin the year in Provincetown! Reservations a must! Call your favorite Restaurant and Accommodation. The Accessible Provincetown Welcome Center is located at the Provincetown Chamber of Commerce, 307 Commercial Street. At the Welcome Center, you’ll find friendly people, visitor information and wheelchairs and canes that can be borrowed. Summers not too far away. Remember to book a slip soon! Halloween in Ptown: Costumes, Parties, Lots of Fun! Provincetown Harbor welcomes brave Polar Bears! Come!